SAINT AUGUSTINE – Plans for Flagler College’s Women of Vision Advisory Board’s fifth annual Power of the Purse®luncheon are well underway. The event, which is scheduled for May 9, will include a silent auction of designer handbags, a raffle of fine jewelry and a luncheon in the stunning and historic Ponce de Leon Hall. 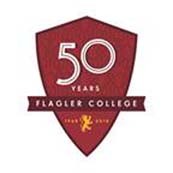 Funds raised will support scholarships for deserving women attending Flagler College. “Sylvia Longmire hopes to educate people about the needs and capabilities of disabled travelers and to encourage people with disabilities to leave their fears behind and seek adventure,” said Event Chair Linda Allen-Hawkins. Another important part of the event is the Power of the Purse® Tribute Book, which includes full-page Tributes with photographs, text and commemorations of special, inspirational women who have made a difference in one’s life. Tributes, which may be purchased for $250, can be in celebration of special women in one’s life or in memory of a loved one. The deadline to submit a Tribute is April 1. The Women of Vision Advisory Board is also seeking sponsors for the 2019 event. Power of the Purse® luncheon sponsors – including diamond, ruby and citrine level donors, as well as media and in-kind sponsors – will be recognized for their generous support in the Tribute Book, on the Women of Vision website and in various media coverage. For more information about sponsorships or purchasing Tributes, contact Jody Hamilton at 904-819-6437 orjhamilton@flagler.edu. You can also visit the website at www.flagler.edu/POPTributes. For information about supporting the Women of Vision Fund, visit www.flagler.edu/wov.